Please Note: Jamboree Games on September 29th will be scheduled based on how teams finish the season. This is to make games fair & competitive. 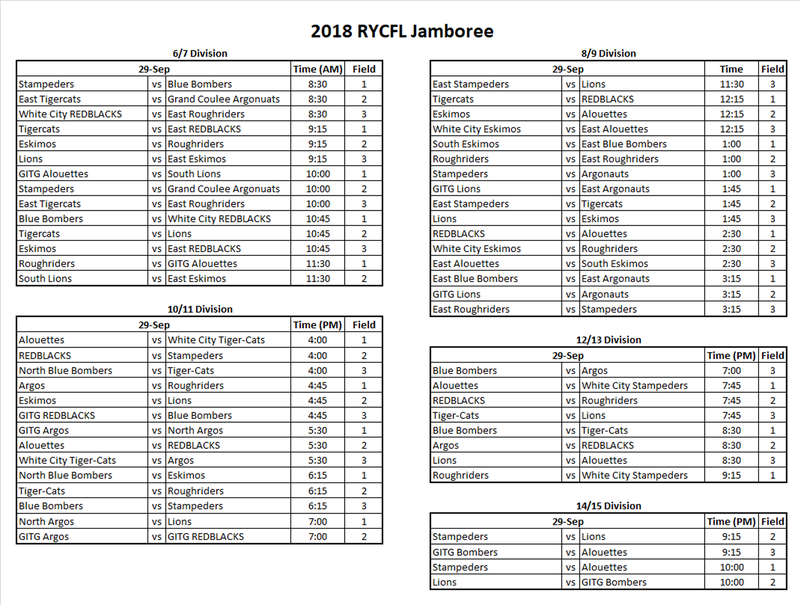 Each team will play two games at jamboree and the schedule will be posted no later then 2 days after week 7 has concluded. All Jamboree games are 40 minutes in length.